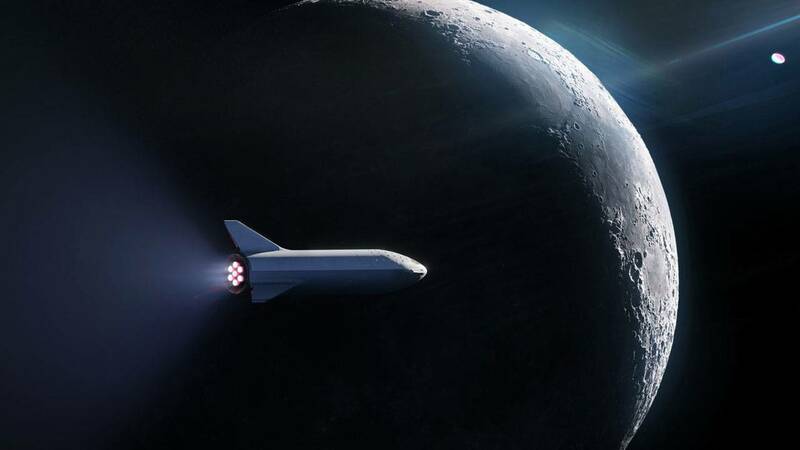 It’s been called the "Big Freaking Rocket," the "Big Falcon Rocket" and nicknamed the BFR. SpaceX’s newest spacecraft and rocket under development will eventually replace the Falcon Heavy, Falcon 9 and the Dragon capsule, CEO Elon Musk said last year. It’s also a major part of Musk’s plan to colonize Mars. On Thursday, SpaceX announced that a private citizen would launch on the yet-to-be completed rocket on a mission around the moon. 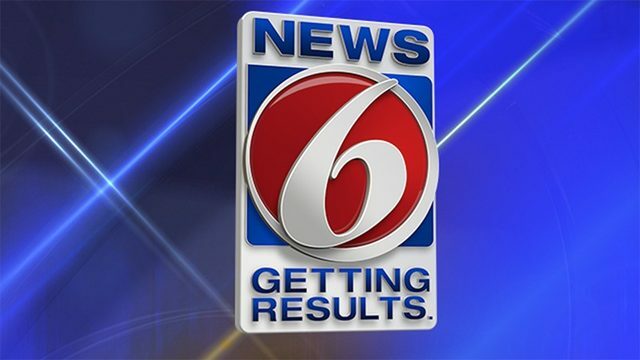 The company will reveal the mystery passenger on Monday during a live webcast. 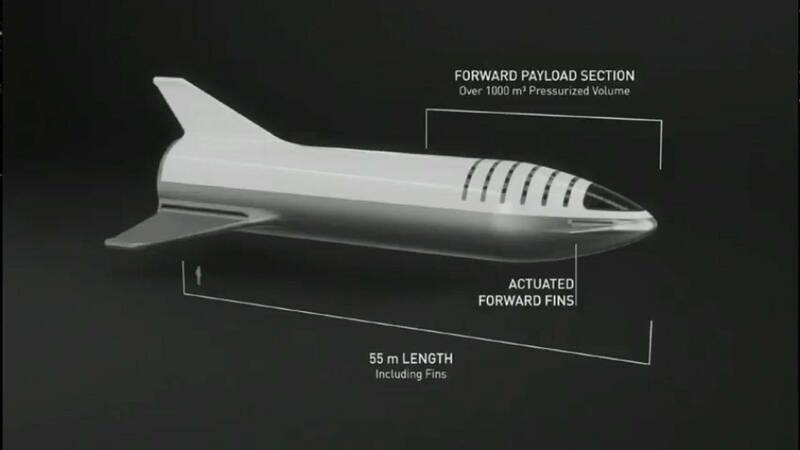 SpaceX also shared a new rendering of the Big Falcon Spaceship, or BFS, which looks significantly different from the drawings shown last year during Musk’s presentation at the International Astronautical Congress in Australia. 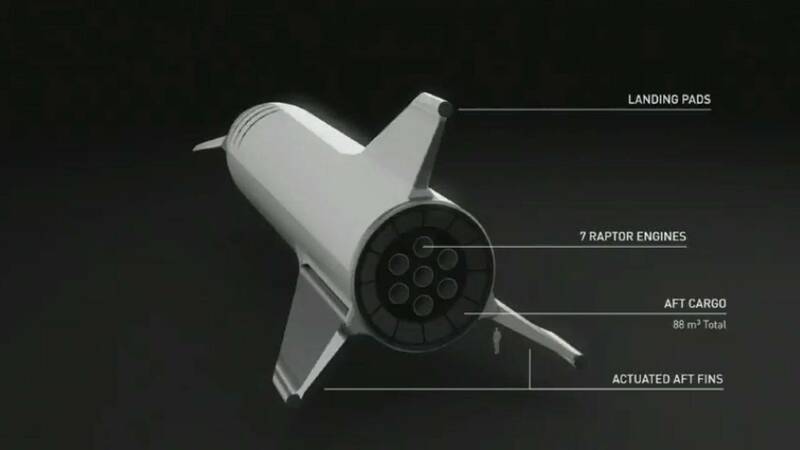 During the presentation, Musk gave an update on the BFR development, saying the name was still a work in progress. 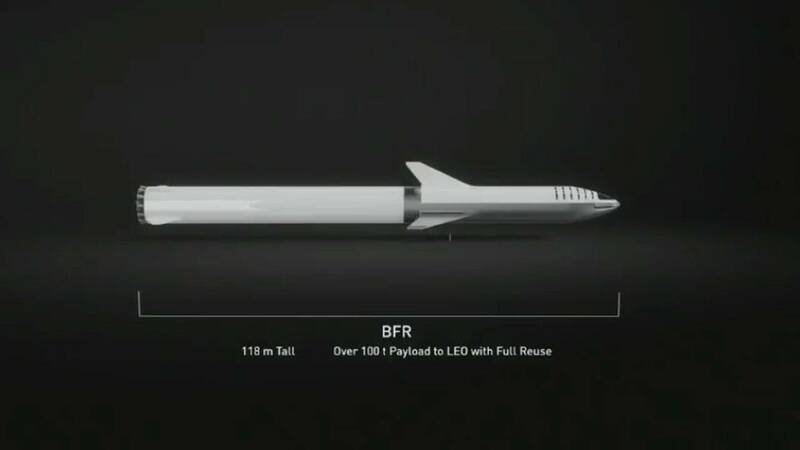 Musk said by focusing on BFR as a replacement for SpaceX’s other two rockets and the Dragon spacecraft, the company could devote more resources to the reusable BFR. The BFR and spaceship will be fully reusable, Musk said, meaning the hardware will land and be reflown on multiple missions. 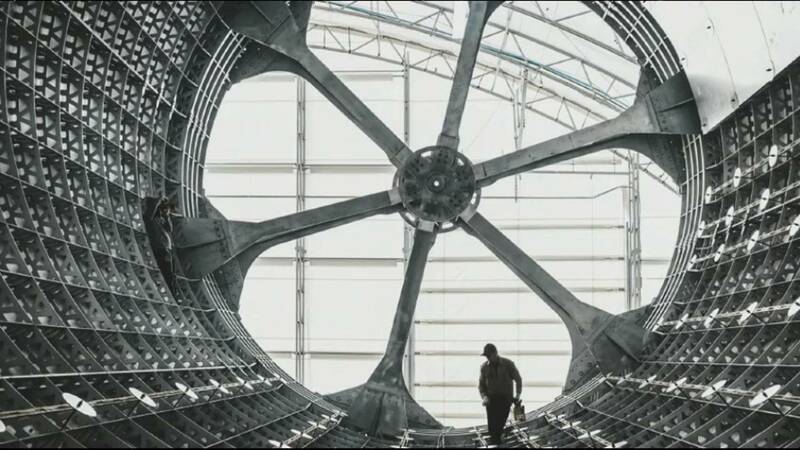 "It's like the upper stage of Falcon and Dragon are combined," Musk said of the design of the BFR. 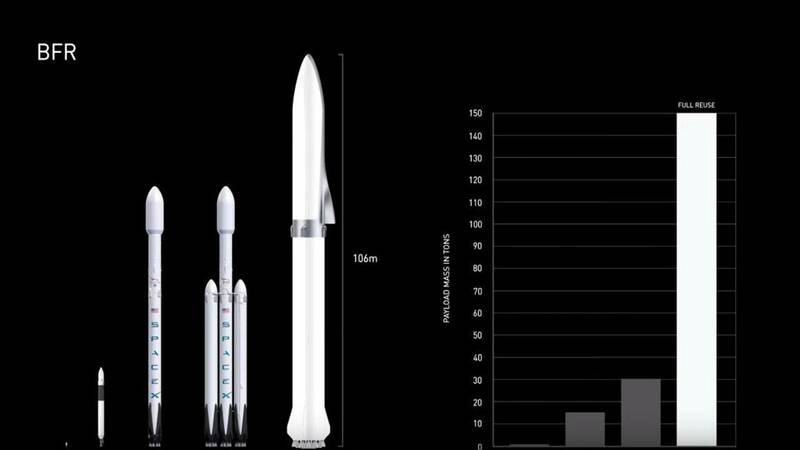 Compared to the Falcon Heavy rocket, which stands at almost 230 feet tall, the future BFR will measure more than 380 feet. The BFR will be powered at launch by 31 Raptor engines producing 5,400 tons of thrust and capable of lifting 4,400 tons into space. The sleek white spaceship atop the booster will be more than 150 feet long and almost 30 feet wide, according to Musk’s 2017 presentation, adding that the payload bay is eight stories tall. One of the big differences between the rendering posted Thursday by SpaceX and the one Musk showed last September at IAC is the spaceship now has three wings or fins near the engines. During IAC, Musk said the BFR's single triangle-shaped Delta wing was designed so the spacecraft can land "anywhere in the solar system." The most recent design image appears to have done away with the Delta wing and added three wings or fins. A day before the moon launch announcement, Musk tweeted a brief explanation of that the design change. "Design has been changed so the (rocket) lands on legs that extend from the tips of the three fins, two of which actuate (mostly for pitch control)," Musk said in a tweet. The tripod-like fins can be seen in the photo above. The spaceship appears to be powered by seven engines in the newest sketch, while the one Musk revealed last year had four vacuum engines and two sea-level engines. However, the SpaceX founder is known for his more optimistic timelines. SpaceX COO Gwynne Shotwell, who is known for estimated dates that are more realistic, said during a TED Talk in April that BFR would launch "within a decade, I'm sure." Shotwell said even after development is complete for BFR, SpaceX will continue to use Falcon 9 and Falcon Heavy until its customers, which include NASA, the U.S. Air Force and private companies, widely accept their new vehicle. “We’re going to keep to continue flying Falcon 9s and Falcon Heavys until there is absolute widespread acceptance of BFR,” Shotwell told TED curator Chris Anderson. BFR is designed for trips to Mars and beyond. According to Musk, the spaceship could shuttle about 100 passengers to the red planet. SpaceX also said the rocket could be capable of global transportation flying travelers from New York to halfway across the world in 30 minutes for the price of a first-class ticket. That business plan will also help SpaceX fund launching to Mars. 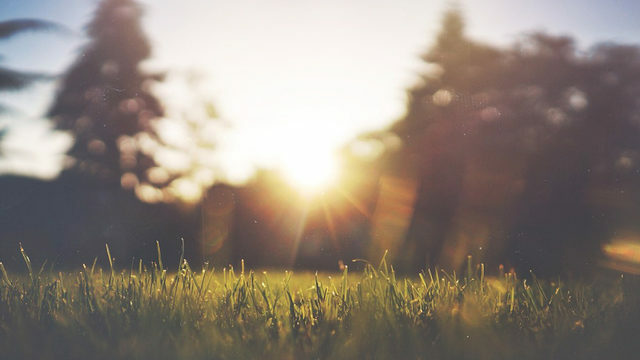 Watch the video below to see what Shotwell described as "space travel for Earthlings." The BFR will be manufactured at a facility near the Los Angeles Harbor on 19 acres of port land SpaceX has leased. That facility is under construction. Due to its size, the rocket will require an oceangoing barge to travel to launch sites.